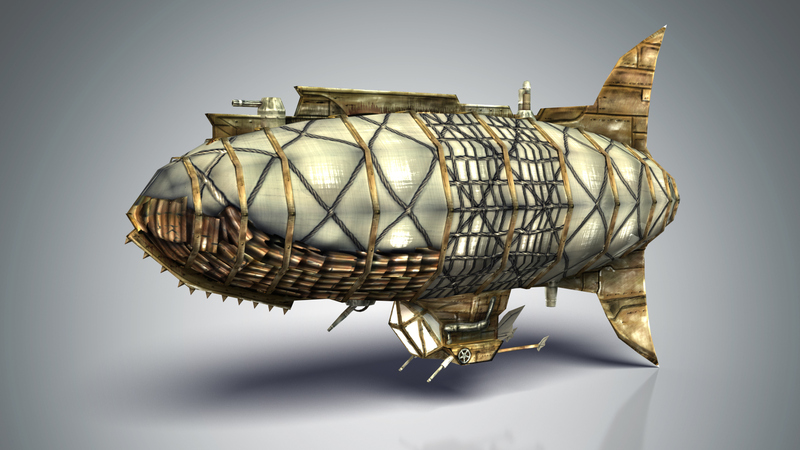 This is the basic zeppelin for Black Howler Studios' strategy game, No Man's Land. 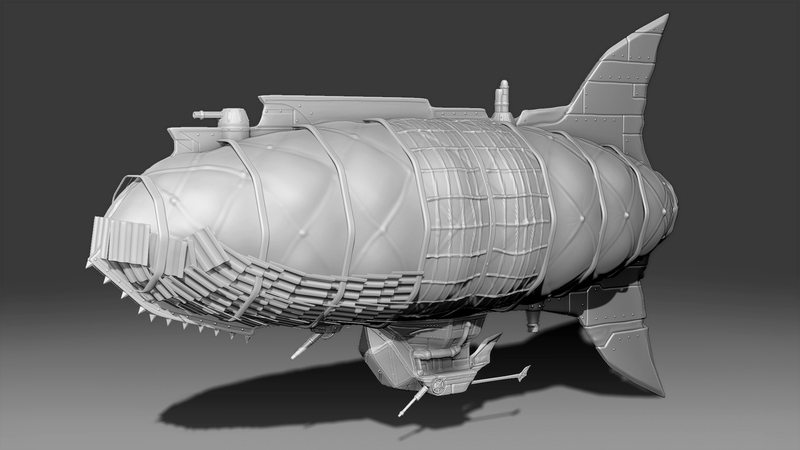 This is the basic Zeppelin model for Black Howler Studios' new tower defense game, No Man's Land. My goal with this model was to practice adding more surface detail in the sculpting process, rather than with box modeling techniques. 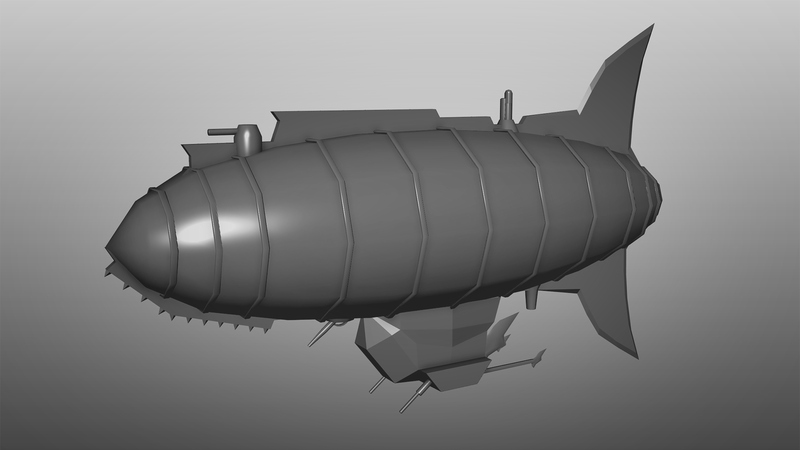 I used blend shapes to animate the explosive deformation of the zeppelin in the death animation. Here is the base mesh (above) versus the sculpt (below) showing all of the details being added later. 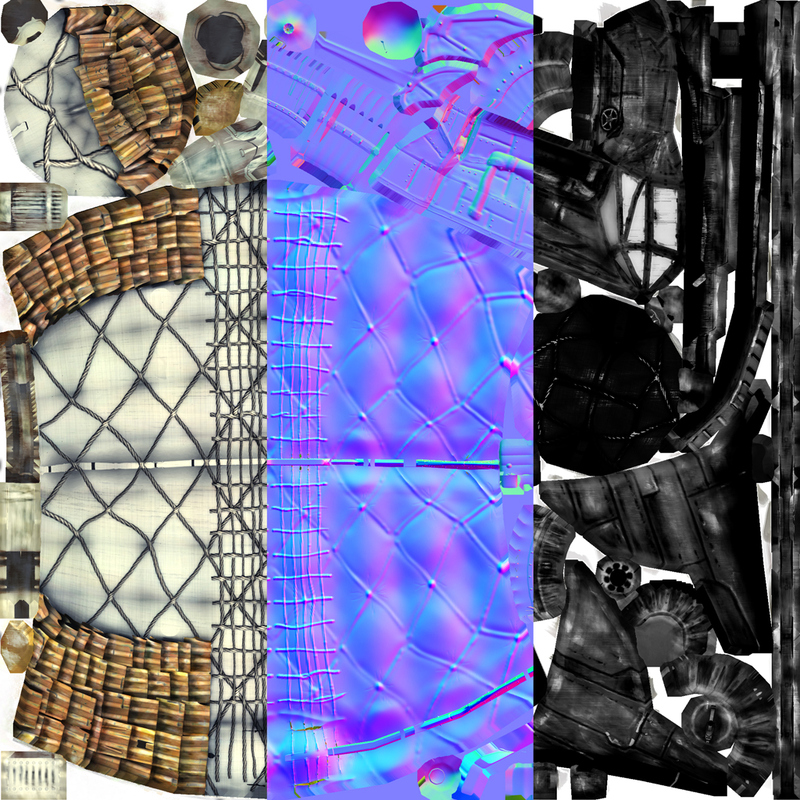 I also wanted to leverage more detail out of the texture with different digitial painting techniques especially in the specular map, to call attention to the different materials that the zeppelin is constructed out of, and the natural wear that might occur. 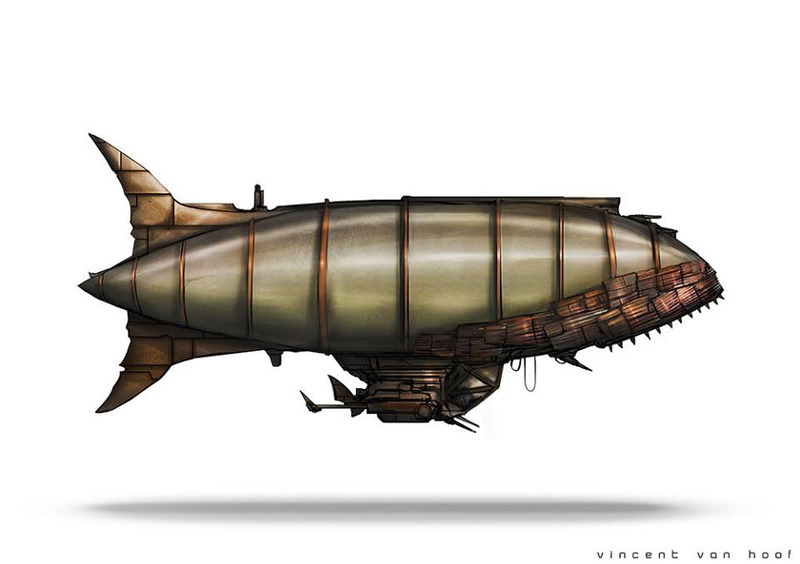 Modeled from the concept bellow by Vincent Van Hoof.